Hydra was awarded an Indefinite Delivery Indefinite Quantity, Design/ Build Construction, Multiple Award Task Order contract through a competitive, free and open solicitation. This contract consists of design/build construction services, construction demolition, repair and alteration of various facilities and civil work projects throughout U.S. Fish & Wildlife Service Southeast Region. Hydra teamed with the Architectural firm, Lyman Davidson Dooley, Inc. headquartered in Atlanta to meet all services needed to fulfill this contract on time and effectively. The project scope included the selective deconstruction of the Jordan House located on Archie Carr National Wildlife Refuge. 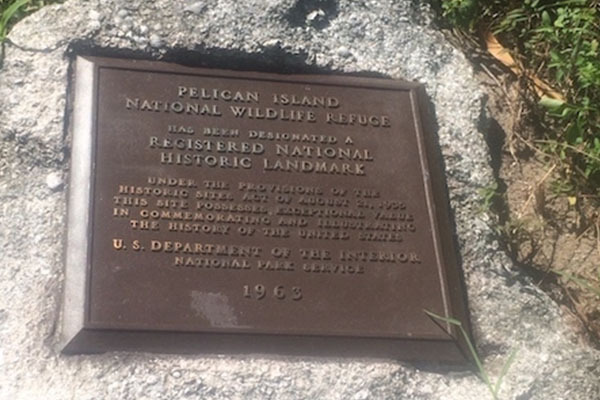 This project also required the site selection and schematic design of a future Pelican Island National Wildlife Refuge Headquarters and Visitor Center. Hydra is the Prime Engineer and Contractor for the site, road, grading and utility design for the new refuge residence along with the procurement and installation of a new four (4) bedroom refuge residence. 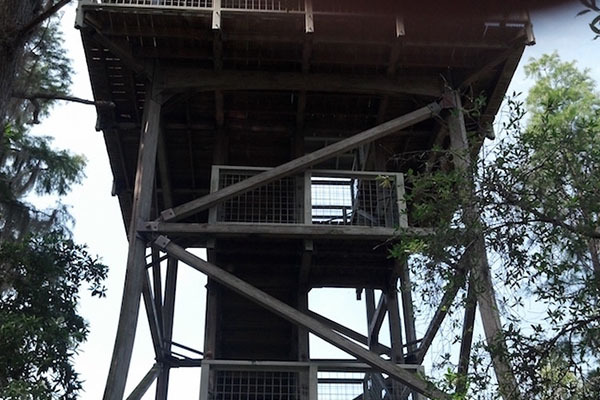 The Owls Roost Observation Tower at Okefenokee National Wildlife Refuge near Folkston, Georgia is located at the end of the Chesser Island Boardwalk. It suffered fire damage to the first floor platform and stairs leading to the second floor, all of which have been previously repaired under a separate work order. The structural evaluation prepared for this work order suggested that further repairs not related to the damage caused by the fire event should be identified and made. These recommendations evaluated and implemented in this task order. Hydra Engineering & Construction is the Design Engineer and Prime Contractor for the replacement of a 4,000 gallons per day wastewater treatment facility and absorption field serving Arthur R. Marshall Loxahatchee National Wildlife Refuge near Boynton Beach, Florida. Hydra Engineering & Construction is the Design Engineer and Prime Contractor for this project located at the J.N. 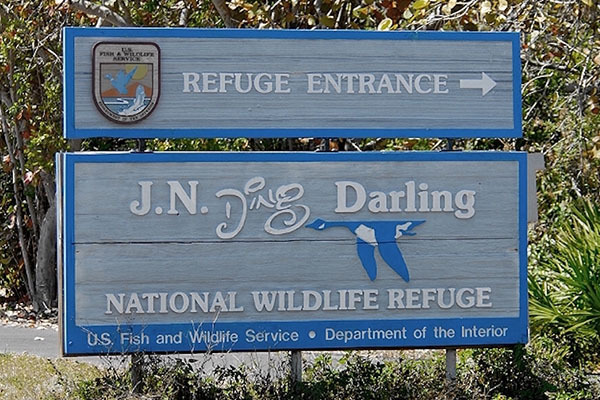 Ding Darling National Wildlife Refuge in Sanibel Island, Florida. Hydra is responsible for the construction and repair of three seawall locations along Tarpon Bay. In addition, Hydra will install new vinyl sheet piling and cap that is required to include depth below grade, new wood piling with wrap, and a new floating pier and gangway. 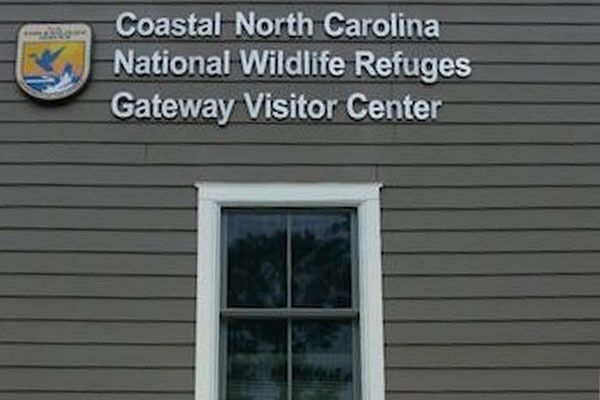 Hydra Engineering & Construction is the Prime Contractor for this project located at the Santee National Wildlife Refuge in Clarendon County, South Carolina. Hydra is responsible for the installation of a professional slide gate opener with solar panels and replacing a current 120V unit, Removing 300 trees, installing 2,000 tons of limestone ROC gravel, replacing 4 existing swing gates and adding an additional 7 swing gates and replacing 190ft of cedar split rail fencing at parking areas. 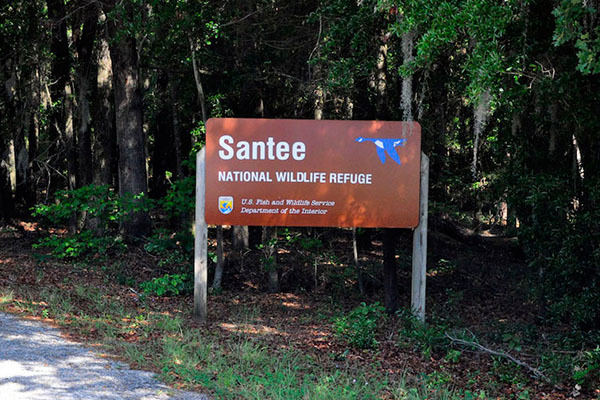 This project is located at the Suwannee Canal Recreation Area in Okefenokee National Wildlife Refuge near Folkston, Georgia. The project required demolition of approximately 1,700 feet of concrete sidewalk and installation of approximately 650 feet of concrete sidewalk. This project is a two-component Design / Build project consisting of completing the recommended repairs and improvements to the existing Headquarter (HQ) Offices and completion of a new Visitor Contact Station / Environmental Education (VCS/EE) facility and / or a free-standing Public Restroom facility. Hydra is the Prime Engineer and Contractor for the project. This project also includes site grading, road installation, stormwater and utility design for new VCS/EE center. Hydra Engineering & Construction was the Design Engineer and Prime Contractor for this project. 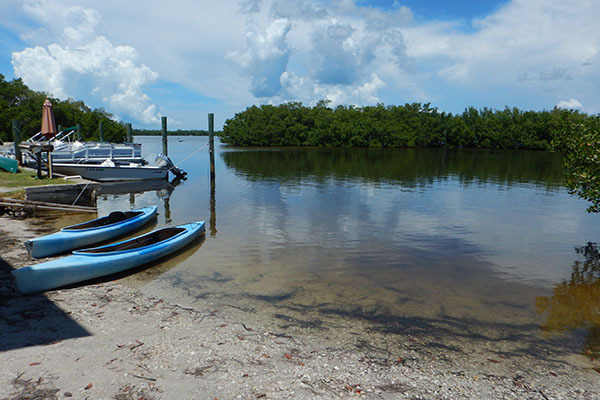 Hydra were responsible for the design, permitting, and construction for a beach re-nourishment project at the Tarpon Bay Recreation Area on the J.N ‘Ding’ Darling National Wildlife Refuge. The beach is approximately 40 ft in length. Sand is continuously eroding and making it difficult to launch kayaks for tour from the beach. Hydra included additional sand and structural improvements that aided the site, while improving the use of the kayak/canoe launch. This project involved installing the drainage improvements to the headquarter landscape and parking area in Manteo, North Carolina. It also included installation of an asphalt parking lot and entrance road with associated signage and striping. This project consisted of demolition of the area south of Raceways E and F and to the north side of Raceway C extending west to the area of the existing speed bump, and to the east of Raceway H until reaching the perimeter fence. The paved area to the south of Raceways I & J shall be removed up to the edge of the retaining wall sidewalk. All pavement, above ground and underground site features were removed from this area. New concrete paved raceways for A, E, G, H, I and J were completed. It also included installation of new gate valves, waterlines, electrical conduits and duplex 110 outlets in WP enclosures. The Merritt Island Wildlife Sanctuary Visitor Information Centerhad three HVAC systems in need of replacement as well as interior upgrades to add to the aesthetics of this building. Three complete HVAC Units were removed and replaced as well as installation of HEPA Filters and UV Lighting to assist in the elimination of existing environmental issues. The complete interior was cleaned, prepped, and painted as well as new carpet installed in the office and administration areas. Carpet repairs (stretching / trimming) were performed in the auditorium, bookstore and reception area. 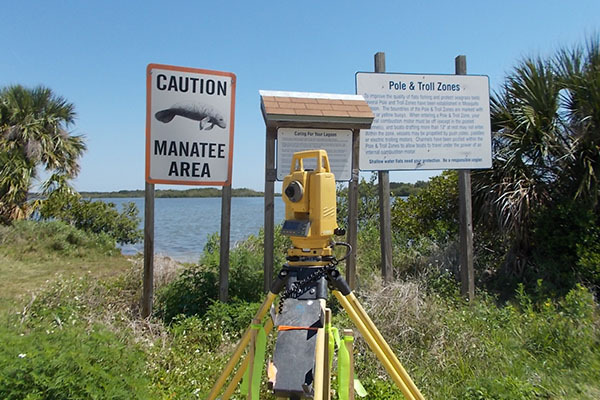 Hydra Engineering & Construction was awarded as the Design / Build Contractor for the removal and replacement of two existing boat ramps at Beacon 42 and Bio-Lab site within Merritt Island National Wildlife Refuge, Merritt Island, Florida. The project includes design, permitting and construction of concrete push slab boat ramps, boardwalks and an ADA compliant kayak launch. Hydra Engineering & Construction installed five 30 ft. long reinforced concrete pipes across an existing dyke to restore wetland habitat to an existing mangrove swamp. 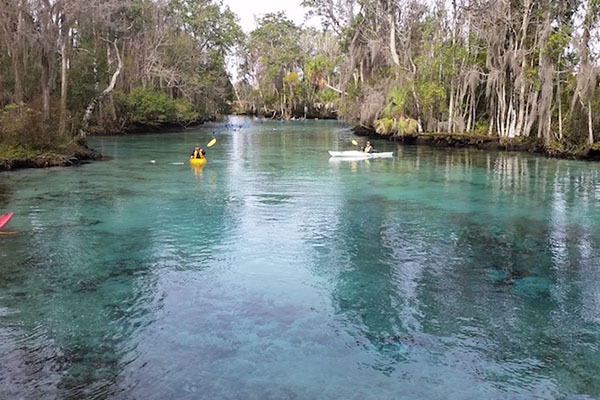 Project had to be completed in three week period to minimize impact to nesting birds and manatee habitats. 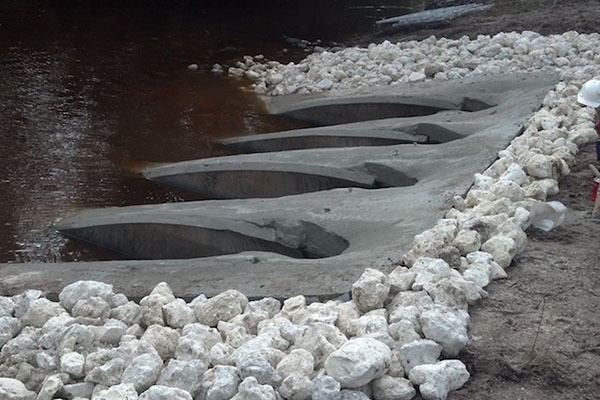 All pipes were equipped with aluminum grates to prevent manatees from becoming trapped in the culverts. All work was completed ahead of schedule. 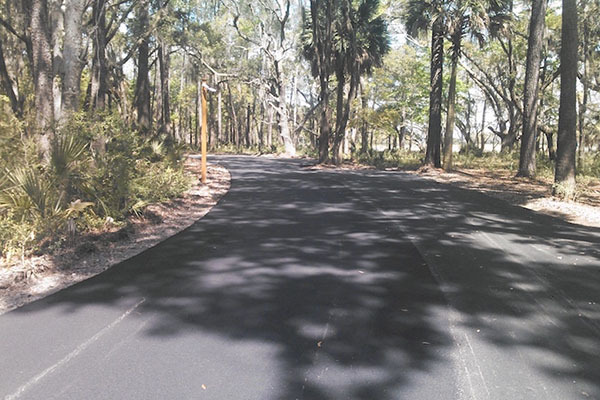 Hydra was the Prime Contractor and Design Engineer for the rehabilitation of Marsh Trail Access Road located in A.R.M. 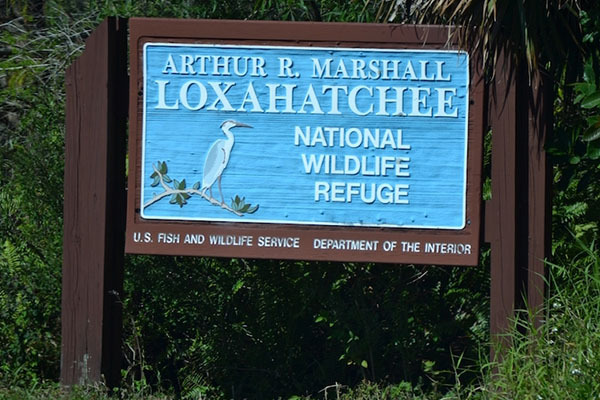 Loxahatchee National Wildlife Refuge. 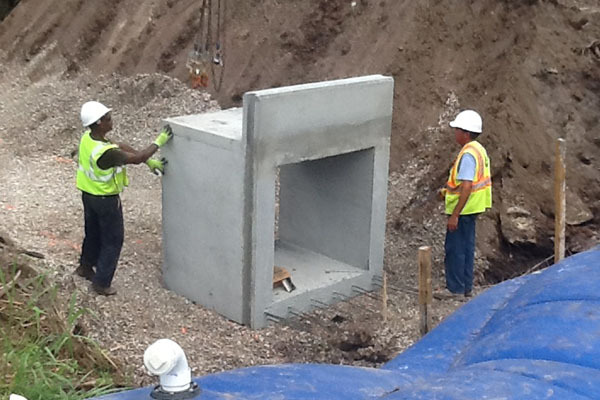 Hydra replaced the existing culvert at the main entrance and installed a concrete box culvert with headwalls and wingwalls. 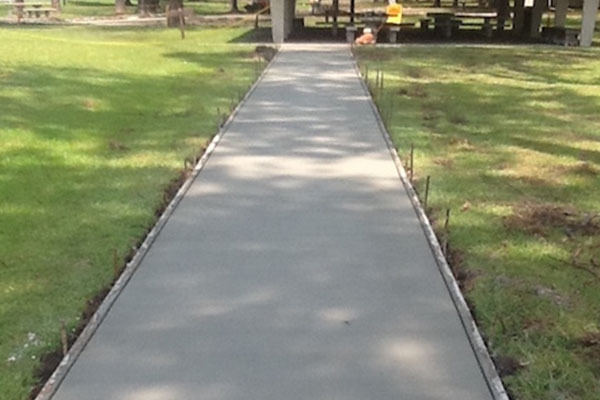 This project also included concrete pavement at the main entrance road to the Marsh Trail Access Parking Lot. 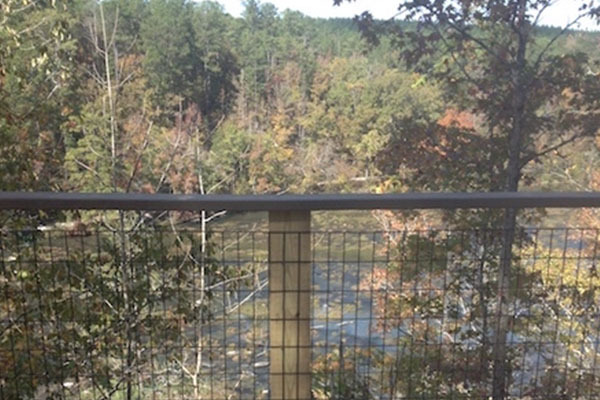 In the Cahaba River National Wildlife Refuge located in West Blocton, Alabama, Hydra Engineering & Construction was contracted to design and build two 25 feet by 10 feet river overlooks with ADA accessible trails for safe public use. 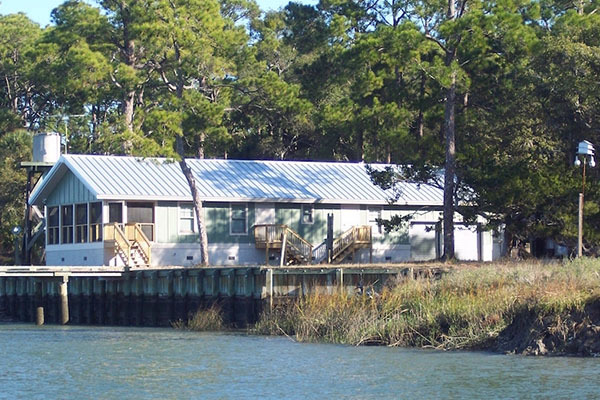 Hydra Engineering & Construction was responsible for the design, permitting and construction of the septic system located in Mountain Longleaf National Wildlife Refuge. The project included a mound septic system for the site per the Alabama Department of Health regulations. The mound septic system is able to support a headquarters facility with up to four occupants and two RV pads. 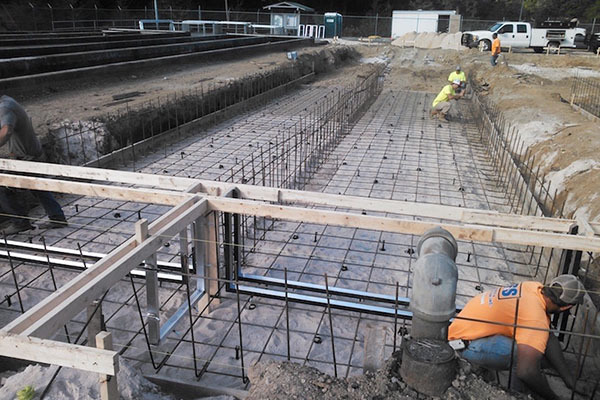 Hydra Engineering & Construction was the Prime Contractor and Engineer of Record for removal of the existing water treatment plant, and replacing with a more efficient water plant. 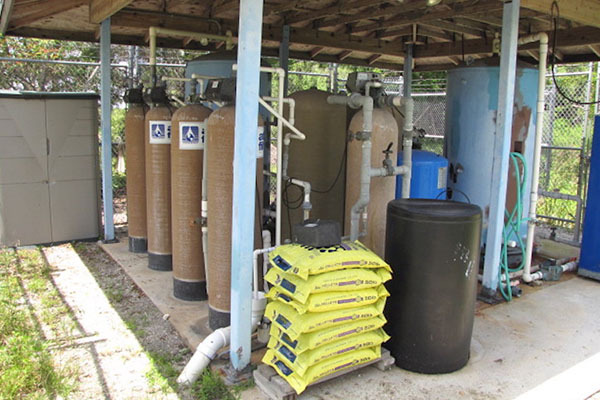 This water treatment plant is located in the A.R.M Loxahatchee National Wildlife Refuge. Hydra was also responsible for Florida State Department of Health permitting. 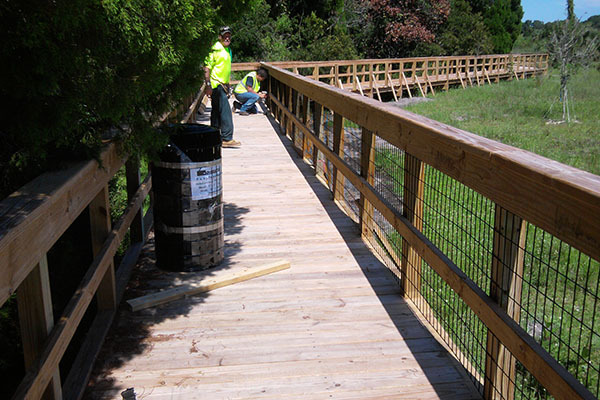 construction of the replacement Chesser Island Boardwalk and repairing the Owls Roost Tower. The new boardwalk is 8 feet by 4,000 feet long and includes four 16 feet by 16 feet covered pavilions. Hydra also installed a non-potable well and waterline for the new sprinkler system that will help prevent possible future damages. 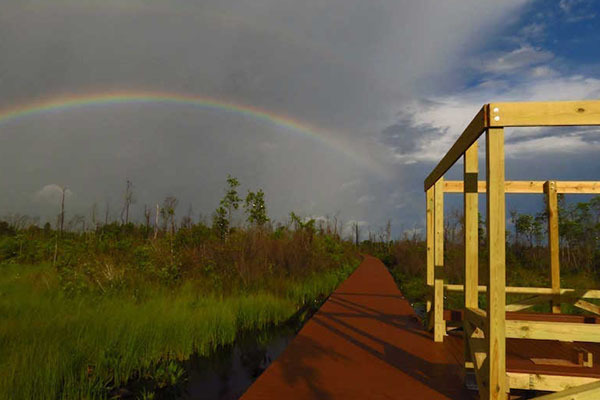 This boardwalk needed to be constructed across an environmentally sensitive swamp designated as a wilderness area without causing impact. Hydra utilized top down construction to build this project so that our equipment never touched the swamp. Each section of the walk was constructed and the equipment moved out so the next section could be built providing for virtually no impact to the environment. wall in Kings Bay, installed new vinyl coated welded wire mesh for handrails on the boardwalk, installed new aluminum handrails for the ramps along the boardwalk and installed a sidewalk from the headquarters’ building to the boardwalk. 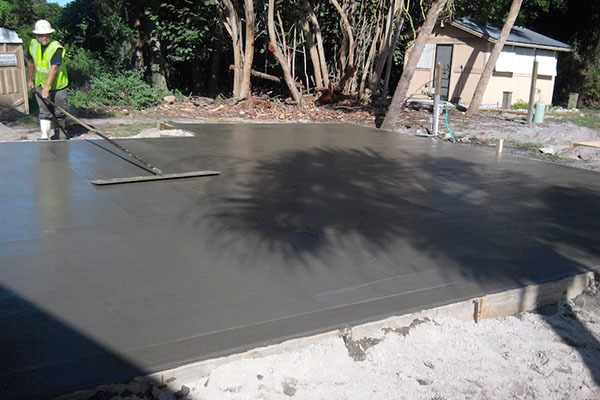 Hydra Engineering & Construction was the engineer and contractor for installation of three concrete RV pads, drainage and stormwater treatment improvements, design, permitting and installation of concrete boat ramp and design and permitting of seawall and bulk head improvements. location of the site when specifying materials and construction techniques. Bears Bluff Fish Hatchery is a Design / Build project consisting of rehabilitation of two fish rearing ponds designed to raise cobia at the Bears Bluff National Fish Hatchery. Hydra Engineering was the team leader and project manager for the design portion of the project. 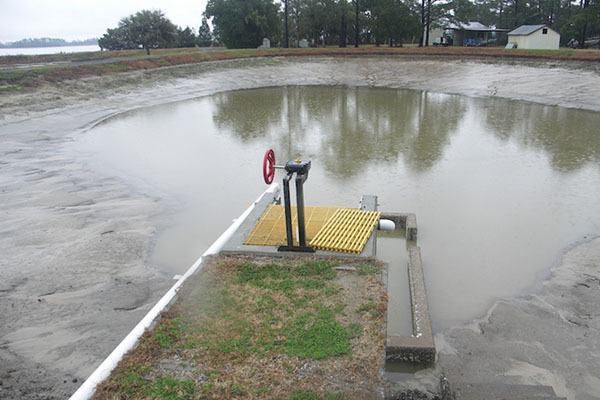 The scope of work consisted of: surveying the existing facilities at Ponds 5 and 6, wetland delineation and permitting, designing water control structures and fish capture kettles, re-grading the ponds, piping. project to complete renovations on an existing dam. 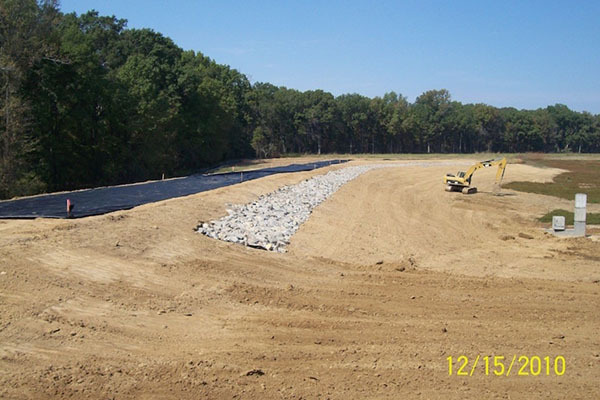 The project included designing a new outfall and release structure for the dam as well as raising the dam and designing a new emergency overflow and bank armoring. The project was reviewed and approved by the USFWS regional office in Atlanta. 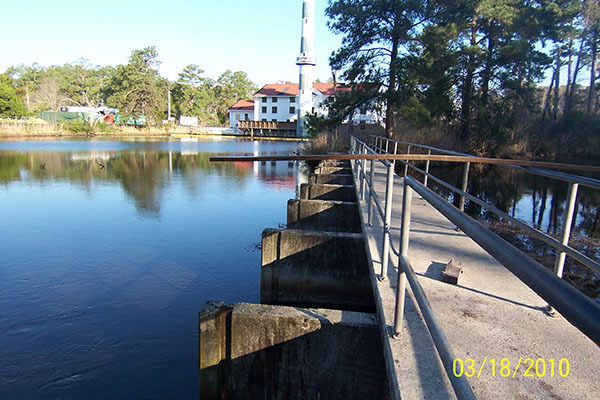 complete the design of three new side opening gates that will maintain the water surface elevation in Mattamuskeet Lake while still allowing aquatic species to move between the lake and the sound throughout the entire water column. The gates were designed to be aluminum to maximize the usable life of the gates while still maintain acceptable cost on the project. The gates replaced the wood stop logs.